With a repertoire that ranges from “Bring Him Home” to “Danny Boy,” “Imagine,” “Tennessee Waltz,” and “House of the Rising Sun,” the singer Colm Wilkinson, known as C.T. Wilkinson in his native Ireland, is renowned for his work in musical theater. Although it was his only appearance on a Broadway stage, his portrayal of Jean Valjean in Les Misérables made an indelible mark, scoring many of New York’s most prestigious awards. He also won fame as the title character in Phantom of the Opera in Toronto for four years, and was a familiar face on television in seasons 3 and 4 of the series “The Tudors,” playing Lord Thomas Darcy. Born in Dublin in 1944, Wilkinson performed with various bands in the 1970s, including the Action, the Jim Doherty Quartet, the Chris Lambe Showband, and The Witnesses. He covered hits by soul and blues singers like James Brown and Mose Allison as well as rock-and-roll favorites by Elvis Presley. Moving into musical theater, he played Judas Iscariot in the 1972 Dublin production of Jesus Christ Superstar by Andrew Lloyd Webber, whose musicals would play an important role in Wilkinson’s later career. In 1976, in fact, Wilkinson was the original Che on the concept album of Lloyd Webber’s Evita. Wilkinson’s fame continued to spread in 1977, when he released a solo album that enjoyed great success. Among his later solo albums is Stage Heroes, on which he sings best-loved numbers from some of the most popular musicals of the twentieth century. Between his appearances of the two productions of Les Misérables, Wilkinson played the Phantom in the 1985 premiere of Lloyd Webber’s Phantom of the Opera, given at the Sydmonton Festival, a summer festival held at Lloyd Webber’s country house. For his portrayal of the Phantom in the Toronto production (1989–90), he received the Dora Mavor Moore Award. 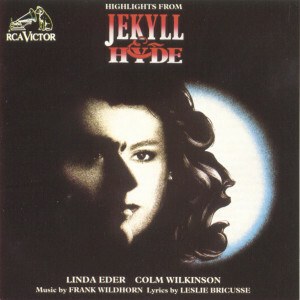 Frank Wildhorn and Leslie Bricusse’s hit musical Jekyll and Hyde (1997), based on Robert Louis Stevenson’s famous novella, The Strange Case of Dr. Jekyll and Mr. Hyde, was several years in development. 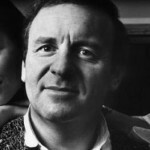 As early as 1990, Colm Wilkinson, in the lead roles, joined Linda Eder on the original concept album recording released by Sony Masterworks. Several songs heard on that album were dropped for the Broadway version, and others substituted; Wilkinson too was later replaced by Robert Cuccioli. In 2009 in Washington, DC, Wilkinson sang at the Birthday Celebration Gala for Senator Edward Kennedy, an event that was attended by many prominent celebrities and by important figures in world politics, including US President Barack Obama.